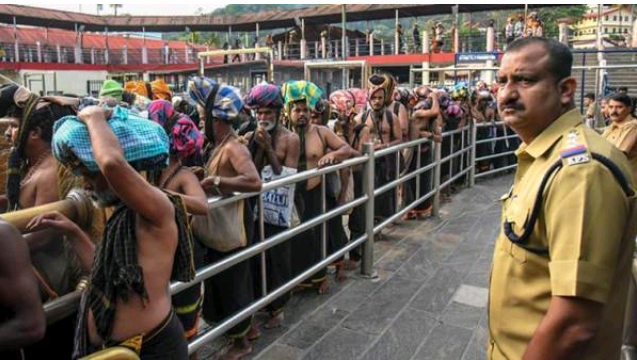 New Delhi: The Supreme Court Tuesday refused to stay its verdict allowing entry of women of all age groups into the Sabarimala temple but agreed to hear in open court on January 22 a batch of review petitions in the matter. In the in-chamber proceedings, the judges examine the review petitions by circulation and lawyers are not present. There are around 48 petitions seeking review of the judgement. "It is a judgment welcomed by hypocrites who were aspiring for media headlines. On the merits of the case, as well, the said judgment is absolutely untenable and irrational, if not perverse." Besides the association, several other petitions, including one by the Nair Service Society (NSS), have been filed against the apex court verdict.